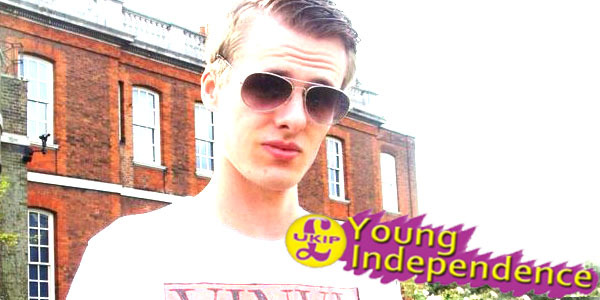 TheBlueGuerilla: EXCLUSIVE: UKIP Youth Leader Slams Tory Youth Leader as 'Career Politician' and Targets Eastern Region. EXCLUSIVE: UKIP Youth Leader Slams Tory Youth Leader as 'Career Politician' and Targets Eastern Region. UKIP YOUTH Leader has lambasted the new Tory Youth Chairman, Oliver Cooper, for snubbing a crucial meeting with the Tory National Executive which is being held today, tbg can reveal. On the day UKIP gain ground on British political map YI Leader Rob Comley sensationally told tbg - "How dare Olly Cooper refuse to meet the Conservative NEC. Olly is there to represent the views of Conservative Future (CF) and should be honoured to do so. It offers a great opportunity for Olly to gain a better relationship and understanding of his Party." Rob Comley and his UKIP brigade have noticed Conservative Future's seeming collapse in the East since recent CF national elections failed to deliver a chairman for the region. Comley has seized the opportunity building upon exiting UKIP popularity in places such as Lincolnshire. Comley explosively revealed to tbg - "This is not the first time he's (Cooper) let down CF since he has been elected chairman. The eastern CF region has been totally forgotten about, which YI has taken advantage of and we now have a fully established regional branch run by Daniel Thistlethwaite." "I have heard many criticisms of Olly but I like to gain my own opinion on people. However, after his NEC snub and his carelessness of forgetting a whole region of membership it may seem that he is in fact, like the rumours say, a career politician [sic]", Comely added. The UKIP Youth Chairman then seemed to extend a branch to Tories saying - "I hope we see many CF'ers coming over to YI'ers in the next few months!" Can't even be bothered to sort out her own nomination papers on time. Someone please sort this region out! Er, surely not endlessly sucking up to the NEC (which, incidentally, is what YI candidates have to do in order to be allowed to retain their positions post-Ollyshambles) is actually the precise opposite of what a career politician would do? Olly takes over on Monday, any failure to sort things out in the East is Howlett's. Cooper has spent most of his time attacking ukip much along the lines of the main party, instead of actually promoting cf as a youth wing he's made It into a reactionary force to ukip seemingly forgetting that his is the party of government. My criticism ends not their throughout his short tenure he has constantly spewed hypocrisy saying such things as "ukip is not libertarian" fair enough, but is the Tory party? The fact that during the welsh troubles with vote rigging he focused on not fixing the issue nor commenting, no he went for ukip, this is the state of cf you have elected someone who is incompetent and rather clueless as to how to manage his role, you have my sympathies cf. Olly shambles what shambles it is only a shambles through his own eyes when all he ever set out to do was go on a campaign of self aggrandisement something "olly shambles" plays into, he was utterly unsuitable as candidate as evidenced by his views on besstiality and neceophila, stop calling it a shambles which makes it sound like a disaster when in fact without olly the party has thrived and grown faster. What a disaster it must be to the ego of mr Neville that despite his assurances his leaving meant nothing on a grander scale. Hoy lives in Cambridgeshire so is very unlikely to be doing anything in Norfolk atm as she had to fight her cllr seat. One day tbg is going to expand its vocabulary beyond the word "sensationally" for describing its stories. Get Hoy out! What has she ever done for CF? Nothing. Oily Cooper has been "in charge" of CF for two days now so can we please have a statement from him about the situation in Wales and the Eastern region and what he proposes to do about it? They do know that Lincolnshire is East Midlands region not Eastern right?